Building an effective and engaged channel network requires more than just the right incentives or training support for partners—it mandates a thoughtful, diversely skilled, and Successful Channel Manager who realizes that trust is the bread n’ butter to her achievement. Great channel managers understand that it takes time to get to know their partners in order to help them reach their full potential; they know that the allocation of information and ability to set mutually beneficial (and feasible) goals contribute to the success or failure of a channel partnership. 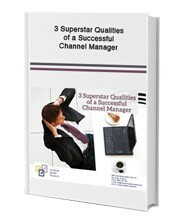 Take a look through this informative whitepaper to learn about “3 Superstar Qualities of a successful Channel Manager” by filling out the form on the right.